I always find these kinds of videos and lists very helpful when shopping so I hope you enjoy it. Check out the list below! 1) Salon Grafix Citrus Creme Cleansing Conditioner - This didn't clean my hair well or for long. 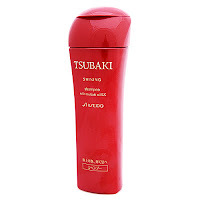 2) Shiseido Tsubaki Shining Shampoo - Love the conditioner, hate the shampoo! 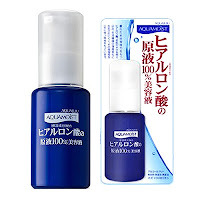 3) JuJu Aquamoist Hyaluronic Acid Essence - Didn't increase hydration for my skin when coupled with moisturizer. 4) Milani Secret Cover Concealer - Broke me out, oh so badly! 5) First Aid Beauty Ultra Repair Cream - Skin felt drier with more flakes and fine lines. 1) Urban Decay Cannonball Mascara - Holds curl and gives volume and length. 2) Urban Decay Naked Palette - Still my go-to everyday eyeshadow palette. 3) Benefit Coralista Blush - Perfect everyday "peachy-pink with golden glow" blush. 4) Eyeko Skinny Eyeliner - Super easy to use, quick to set, and long-lasting. 5) Lioele Artist Auto Eyebrow Pencil in Gray Black - Perfect shade for natural black eyebrows. 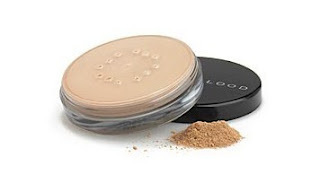 6) Youngblood Mineral Foundation in Warm Beige - My new everyday foundation! Very natural look and doesn't break me out. Let me know your "Naughty & Nice list" in the comments or feel free to link your video or blog entry of your yearly favorites as well. I'd love to see what some of your best and worst products for this year were! Urban Decay Naked Palette is being hyped a lot, I've been wondering what's the difference between UD naked palette and other palette from another brand (maybe cheap one like NYX?) what makes it so special? >.< I feel like buying it just because UD naked palette is everywhere on blogsphere lately, hehe.. The eyeko eyeliner is now sold at Sephora. You can buy it internationally from eyeko.com! you make me want to try that eyeko liner!! Your eyeshadow in this video is so pretty!! what did you use? Thank you Jen! I have to say you are the reason I got the Naked one and two palette!! Can you point out what colors you used in this video? I love your Belle look video with the Naked one palette as well! I also loved your bracelet,altho i couldn't get a better,closer look of it,but i was wondering if you plan on doing vids about your jewelry&accessoaries ?! I've been paying closer attention to that,besindes your inspiring make up & i'd love to see more of that,hopefully in 2013 !!! Anyways,just wanted to leave ya a shout out&wish a Splendid New Year ! This is the second naughty or worst of list I've seen the First Aid Beauty Ultra Repair Cream on! I use it as a body cream, as I found it a bit too much for my oily skin. I like combining it with perfume oils to create my own scented body lotions, and it has worked well in that capacity. I bought the first aid beauty repair cream ($28) at sephora because the sales clerk said it was good for those with sensitive skin and eczema. I had to return it and went to costco and got my reliable jar of cetaphil moisturizer for less than half the price ($10)! It works way better for less money. I recently bought the Urban Decay Naked Palette and I'm in love! Been using it everyday since. i have the naked palette 2 and now want to buy the 1st one but that's another $50 ughhh any other suggestions?? Do you buy your mascaras as waterproof or non-waterproof? Because I'm looking for a non-waterproof mascara that holds a curl, but I can only rely on the waterproof versions! I was wondering if the Urban Decay Cannonball mascara that you had was waterproof cause it sounds really good! Can you please please please do a tutorial on your makeup in this video? It's just so ethereal and lovely. Thanks! Is there any dupe for Eyeko Skinny eyeliner? Preferably asian brand like etude, lioele, or Skin 79? We don't have any cosmetic dept store like Sephora here. I haven't tried a similar eyeliner from those companies but if I find one I'll be sure to post about it! Also Jen do you have any recommendations on natural everyday fake lashes for monolidders? Can you please show me how to add the "labels" bar on your blog? In blogger's widgets there should be a "Labels" option to add to the side bar. You should be able to customize it in the Layout page. I've only had my eyeko eyeliner for a little over a week and it's already drying out. when i first got it and tried it out on my hand, it easily created thin pigmented lines. now, the color coming from the tip isn't as pigmented. how long does yours last for? Did you make sure to close the cap all the way? It should snap into place which should keep it from drying out. My mom accidentally didn't close it all the way at first when I gave it to her. If it is closed completely, maybe try exchanging it because it's possible you got a dud. Hi Jen, I have problematic skin as well. What do you usually do when a product breaks you out, especially the one that gives you cyctic acne? I tried a foundation that breaks me out so bad that it a tad traumatic to try and find the one that works. It takes so long to clear my skin after it breaks out. Do you have any product recommendation to help the skin after it breaks out? How long does it take for your skin to clear after? Thanks so much! I follow your blog religiously after discovering it a few months ago. When my skin breaks out, I go into recovery mode by defaulting to a very simple skincare routine that I know won't break me out. Basically, I just use a tried-and-true facewash, moisturizer, and mineral makeup when I have to wear foundation. Hi Jen, you got me so interested in trying mineral make-up for daily use. I also have combination skin that breaks out easily with oil based products. I currently use lancome oil-free liquid foundation but only on special occasions. So far, it doesn't break me out but would like a lighter alternative for everyday. I'd like to try Youngblood too but noticed that it contains bismuth, which i heard can cause breakouts to some. I've never tried any mineral make-up so i'm not sure how my skin will react. What would you suggest? Also, hope you can show us your updated mineral make-up routine. There are so many info in the net that i get confused on which routine i should follow. I wish I'd seen this before I ordered the Tsubaki shampoo+conditioner (though mine came as a set). I love the conditioner but the shampoo gave me horrible dandruff! I was googleing about Urban Decay Naked Palette and came across your blog.